Finding the appropriate home care for your loved ones can be stressful, at Life Foundation Home Care, our award winning team of home care professionals works with the clients to assess their home care needs. So that we can deliver better outcomes, our client centric model focuses on preparing a custom care plan, matching the client with the right caregiver and keeping the family and healthcare providers informed. Our highly trained staff will walk you through your options and answer any questions around your long term home care needs. Did you know that Dementia and Alzheimer's patients not only start losing their memory but they also start having difficulty in doing their day to day tasks? Let our qualified caregivers provide them the care. Looking for someone to provide companionship and keep your loved ones engaged? Our Companion Care program includes services like personal care, home care, activities and transportation. Quality after surgery care is important to ensure smooth recovery. Our experienced caregivers can help you transition from hospital into Long Term Care or Home Care after surgery. Patients going through Cancer treatment or recovering from Cancer require special care. Our skilled staff provides comfort and care during and after treatment to help Cancer patients. Qualified Veterans and their surviving spouses can receive FREE home care through VA benefits. We help you through qualification and application process. Call us to find out if you or your loved ones qualify. You have a primary caregiver who needs time off? Are you a family caregiver who needs a break to refresh and replenish your energy? Our Respite Care program is the right program for your loved one. 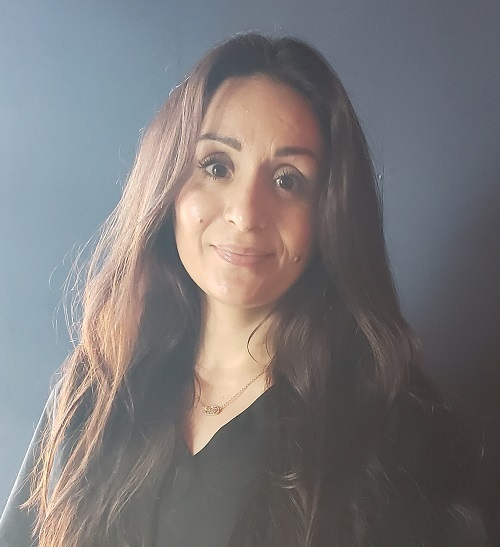 Congratulation to our Employee of the Month Nohemi G. Nohemi is extremely caring and compassionate and goes out of her way to provide comfort to her clients. Nohemi has over 8 years of caregiving experience, is bilingual and is finishing her CNA. She lives in Houston and enjoys spending time with her family while not caring for her clients. Congrats Nohemi!